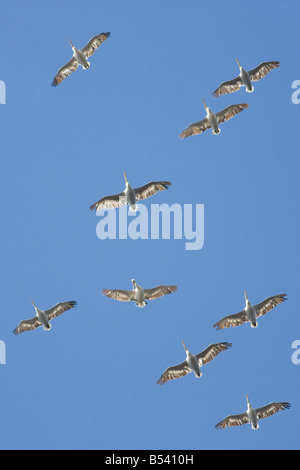 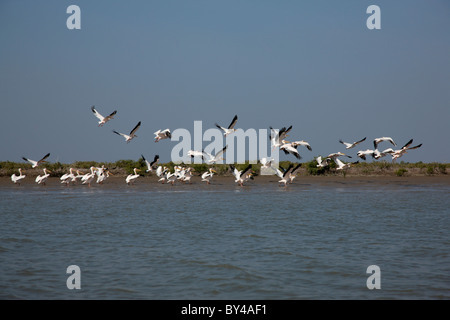 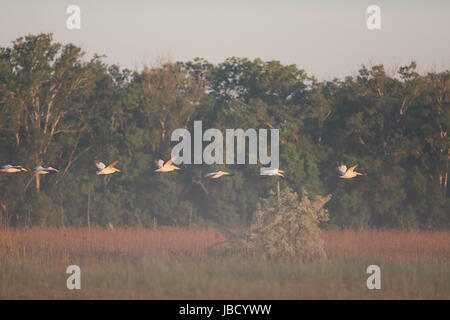 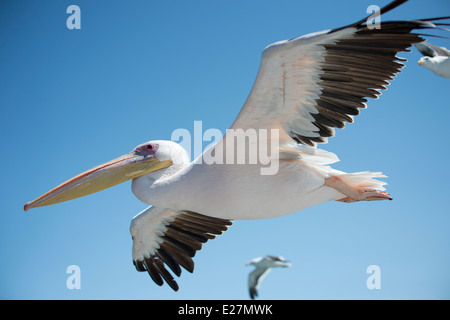 Great White Pelicans (Pelecanus onocrotalus) flying over a dolphin watching boat, hoping to get fed with fish. 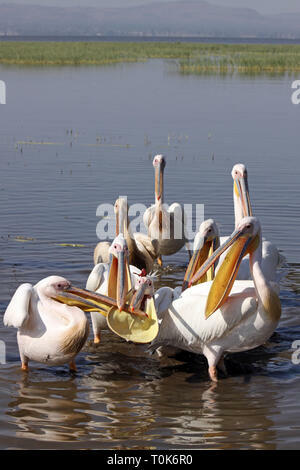 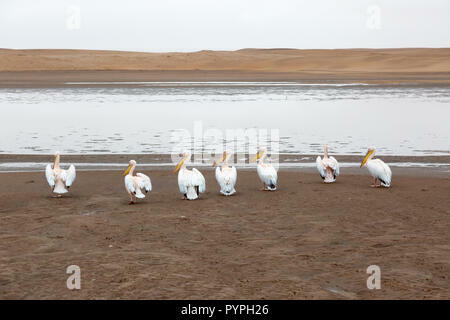 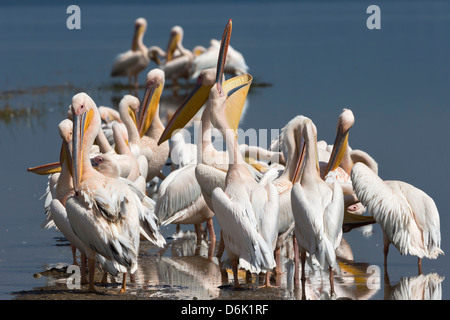 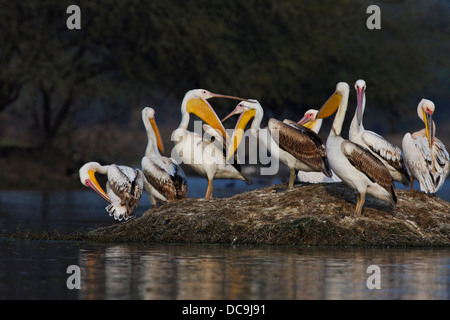 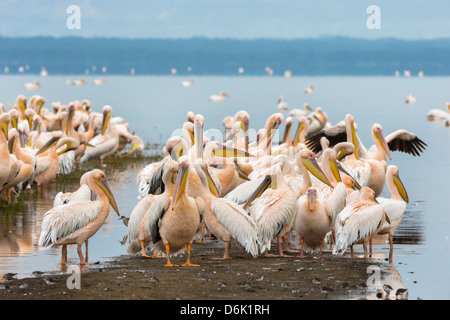 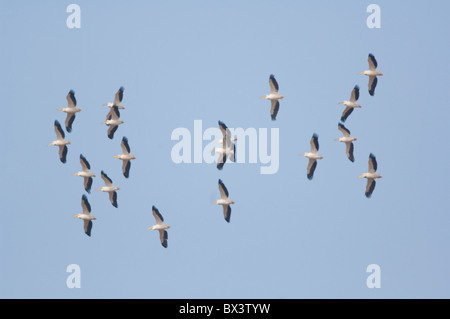 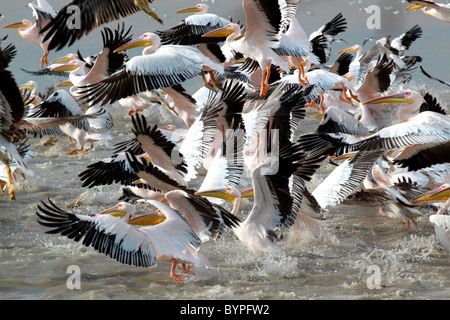 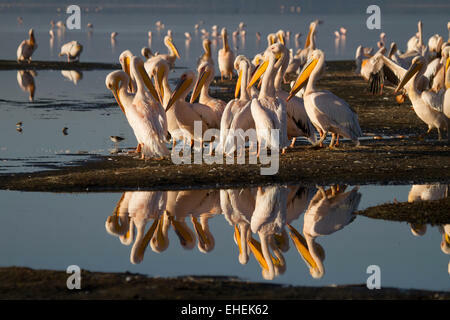 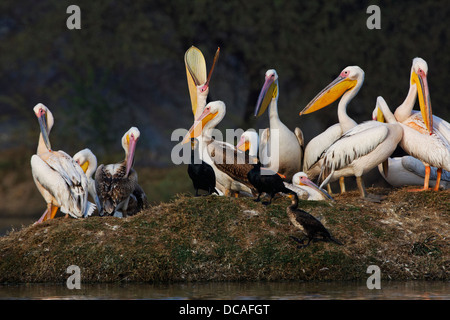 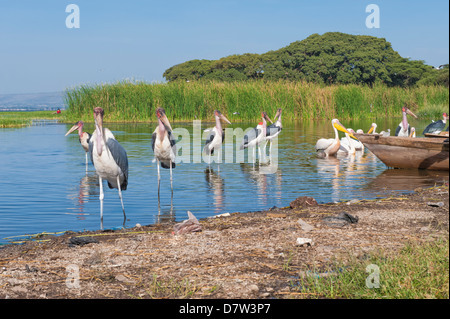 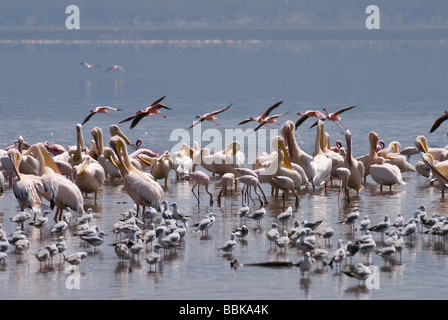 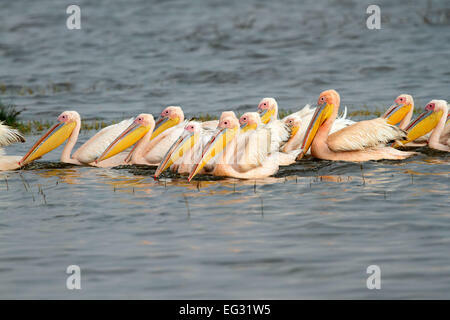 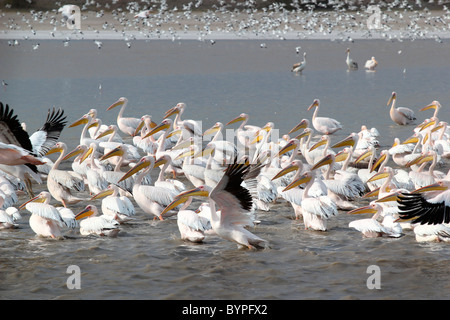 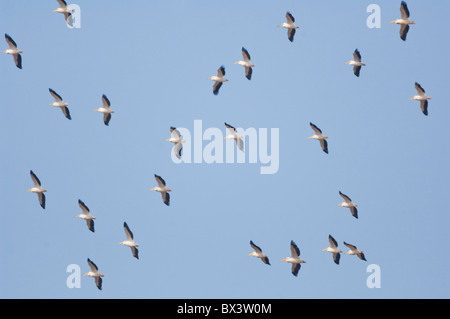 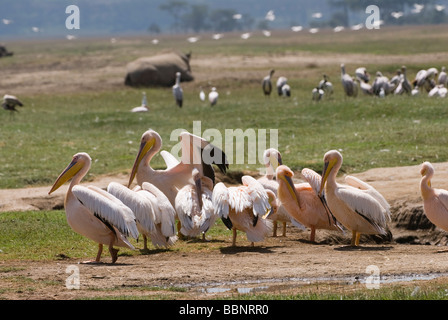 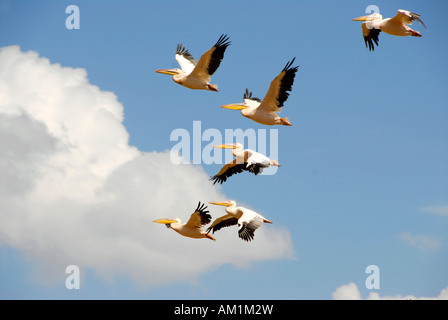 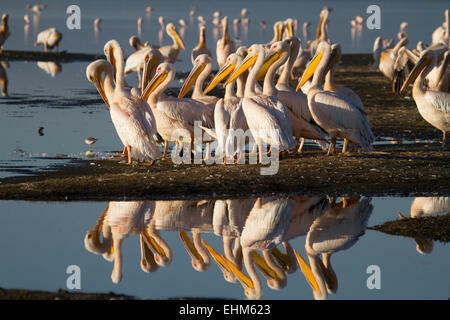 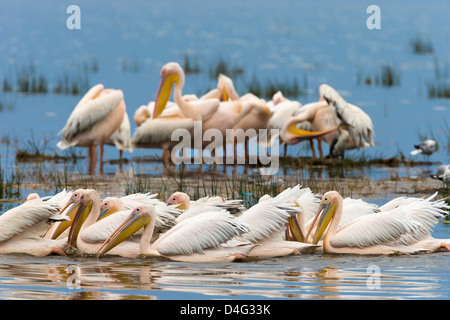 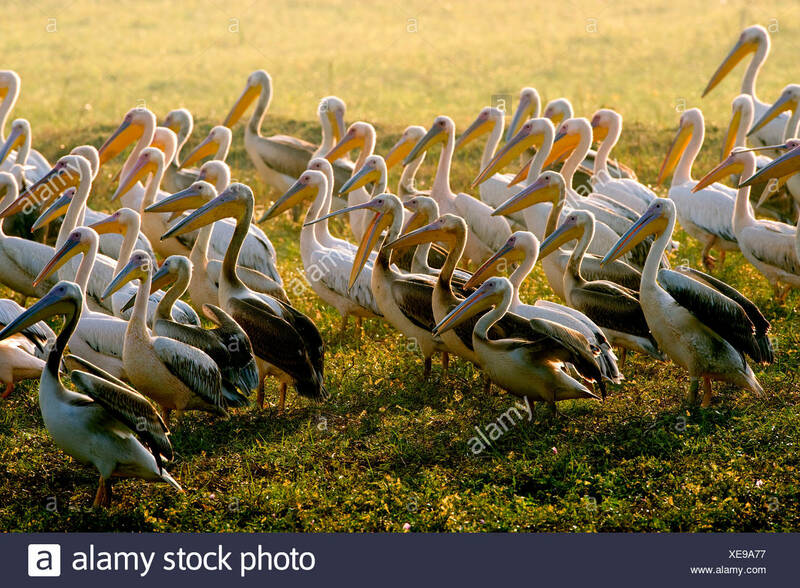 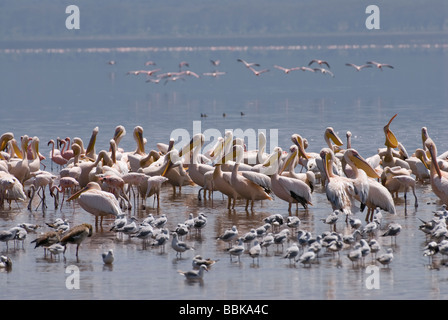 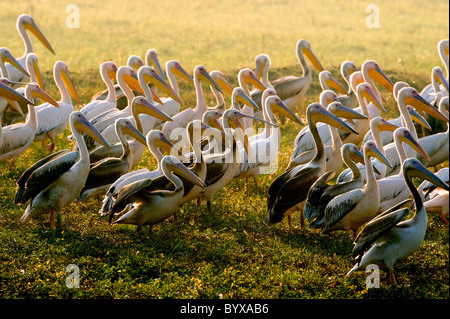 Great White Pelicans (Pelecanus onocrotalus ) at lake Nakuru (Kenya). 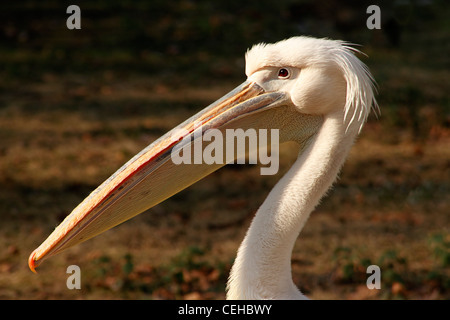 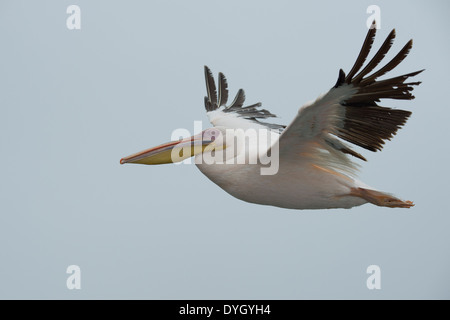 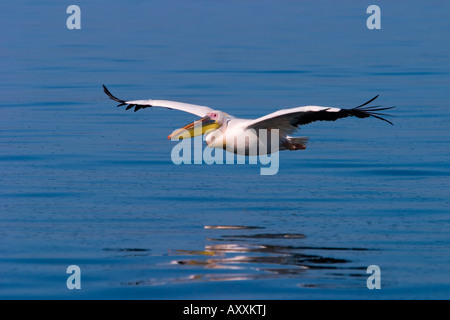 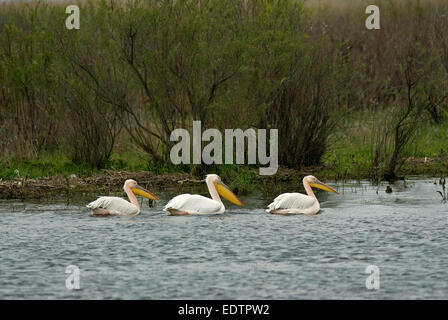 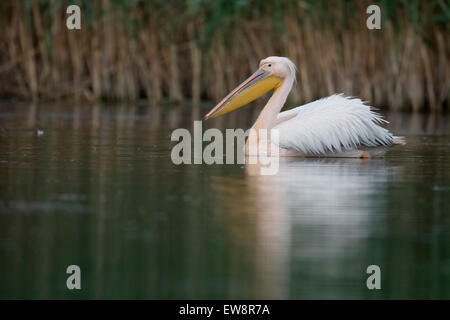 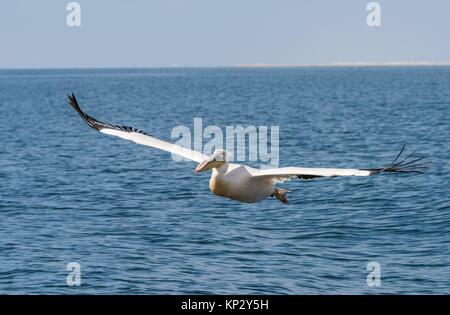 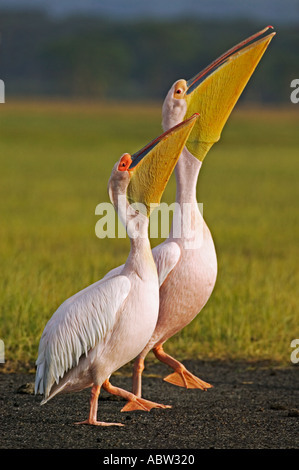 Great white pelican. 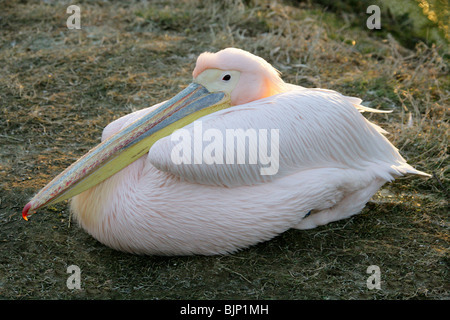 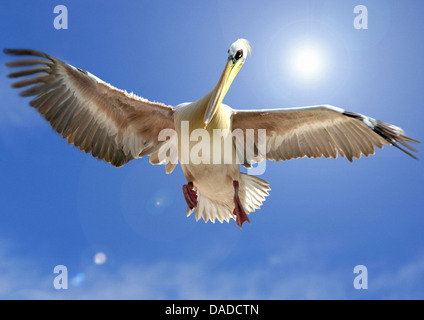 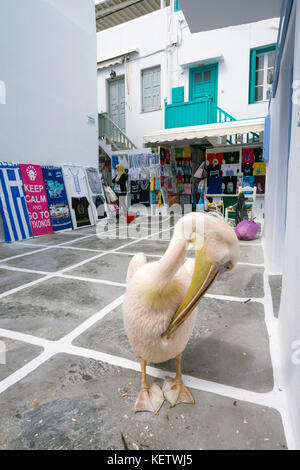 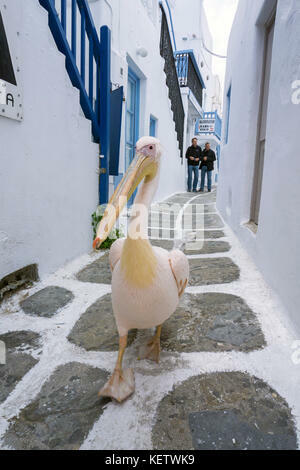 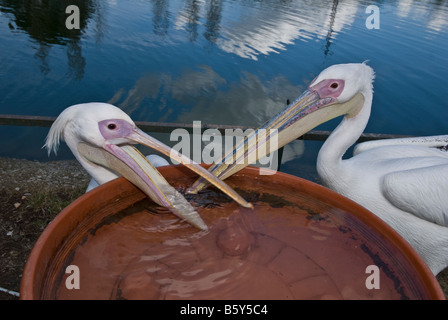 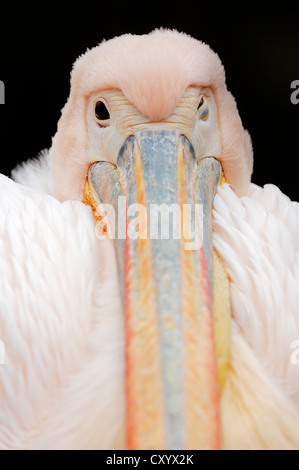 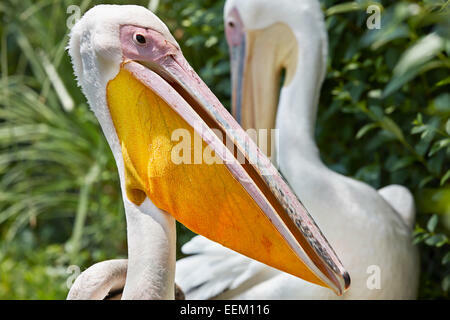 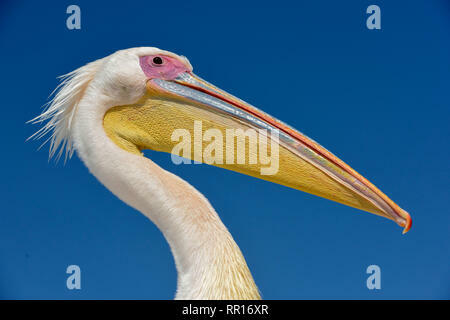 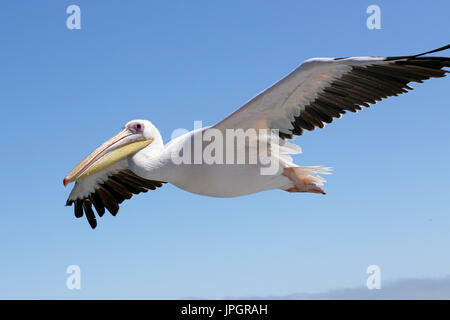 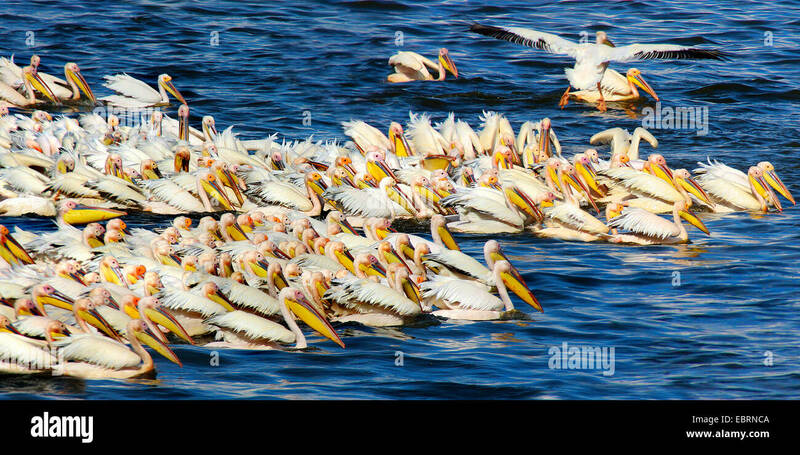 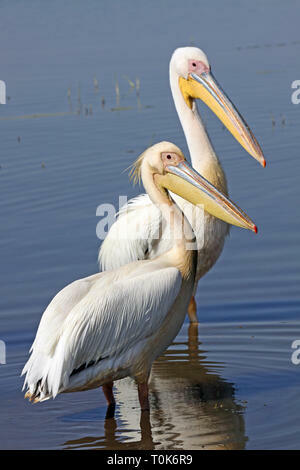 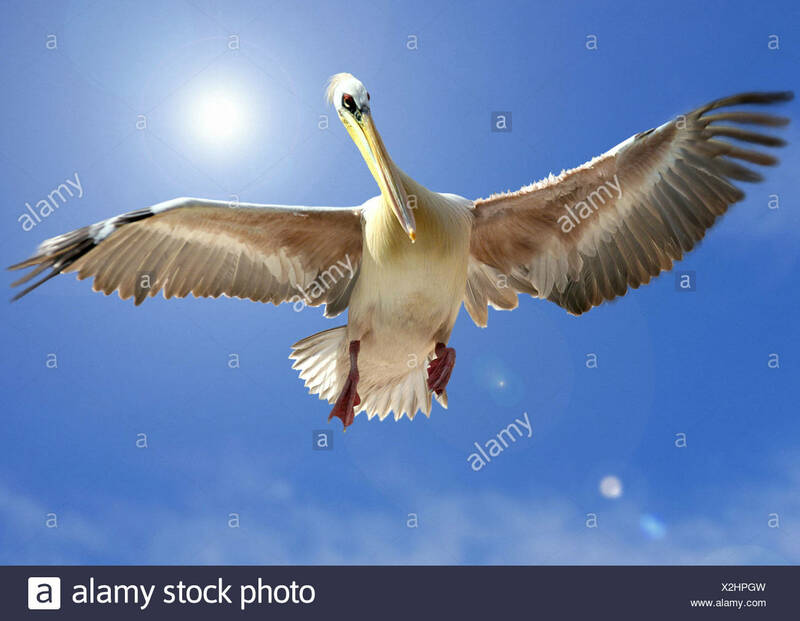 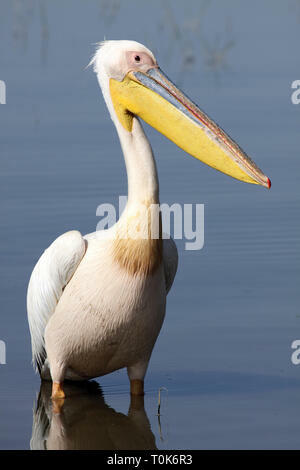 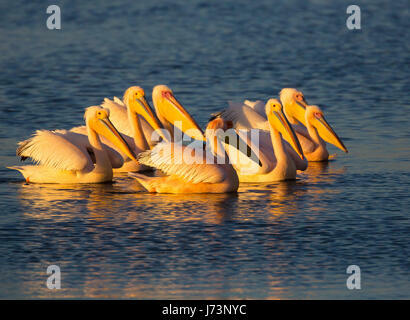 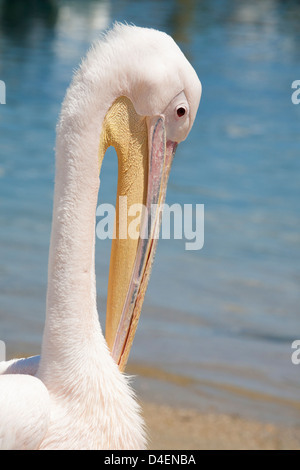 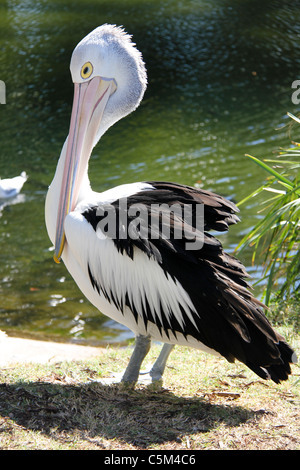 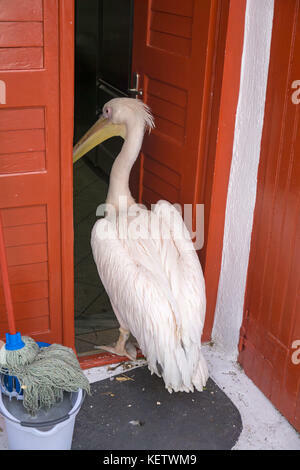 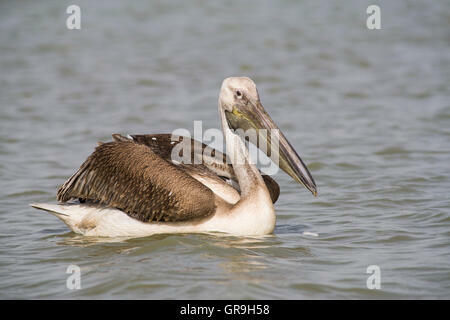 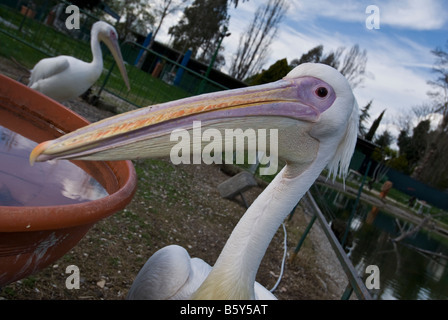 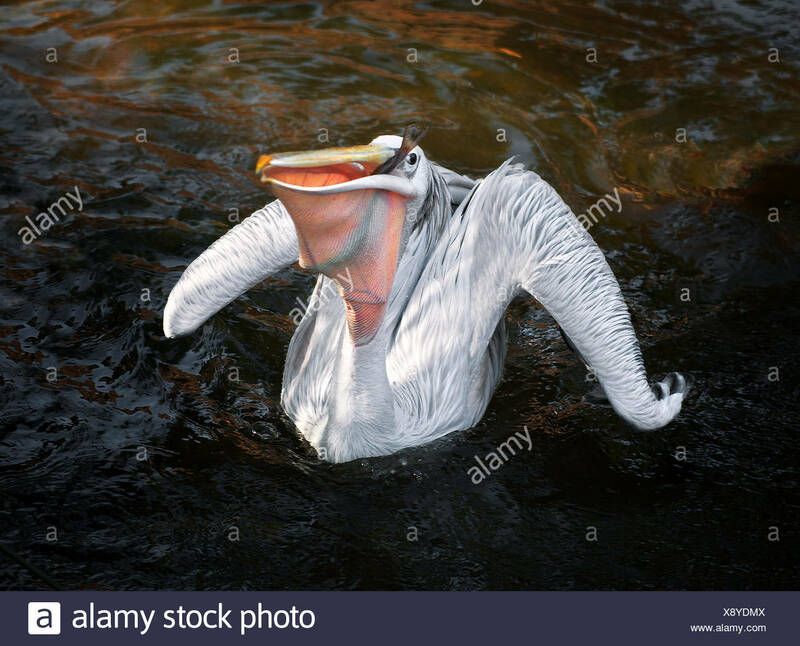 Scientific name: Pelecanus onocrotalus. 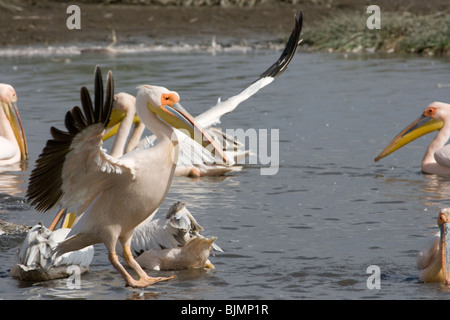 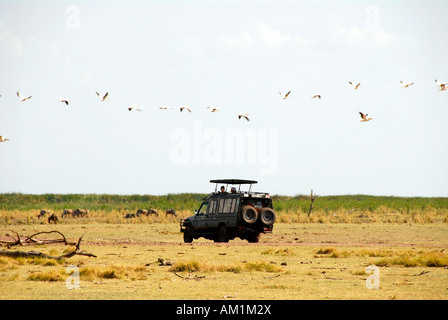 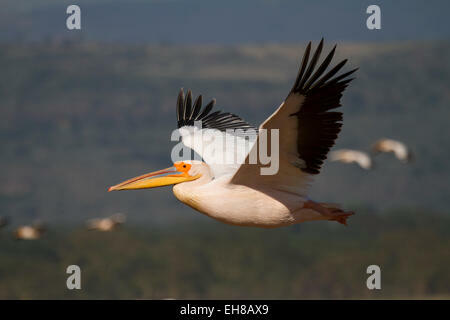 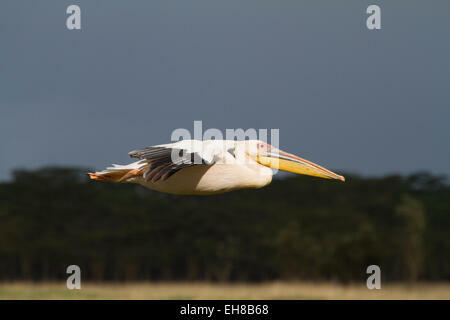 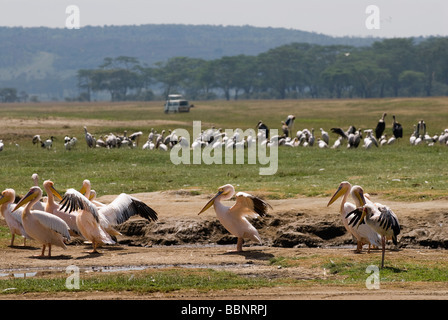 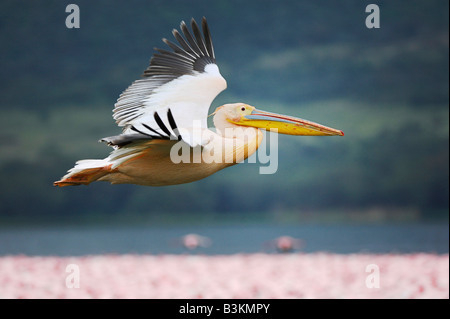 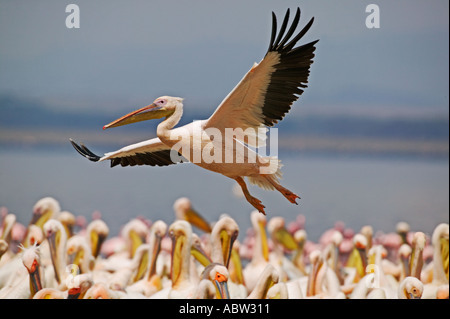 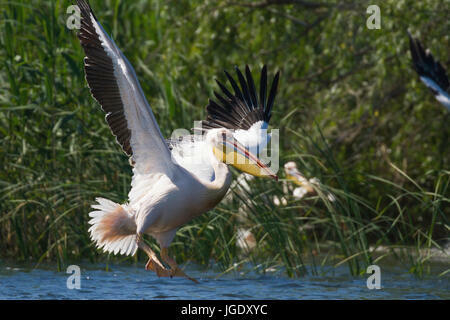 Great White Pelican (Pelecanus onocrotalus ) landing at lake Nakuru (Kenya). 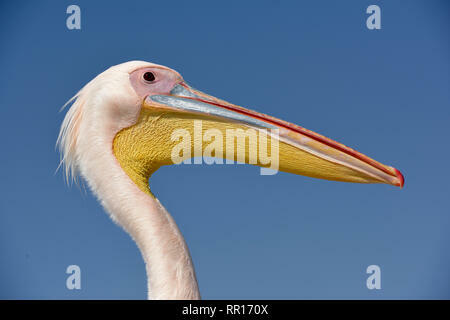 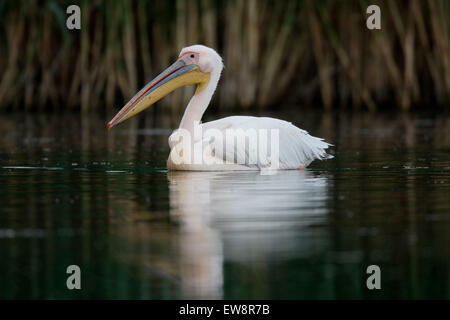 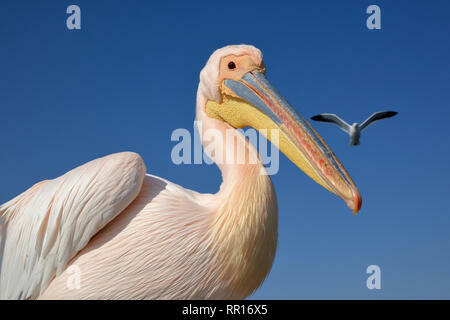 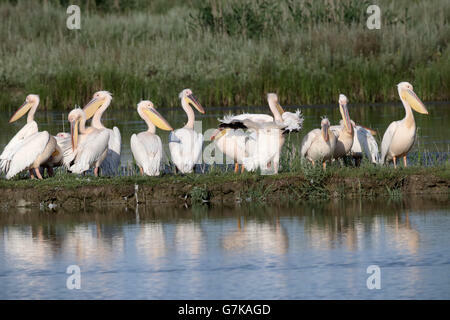 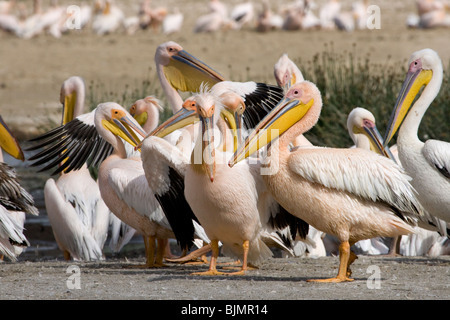 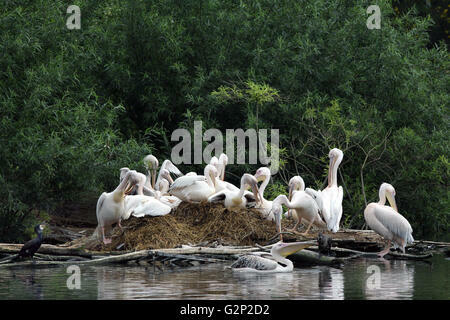 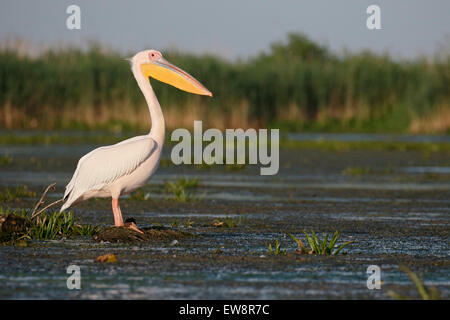 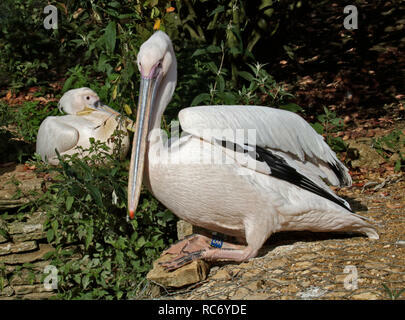 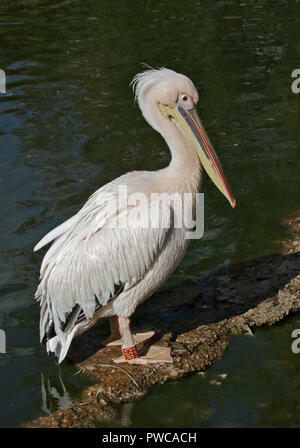 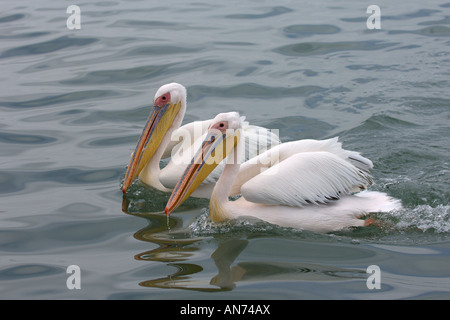 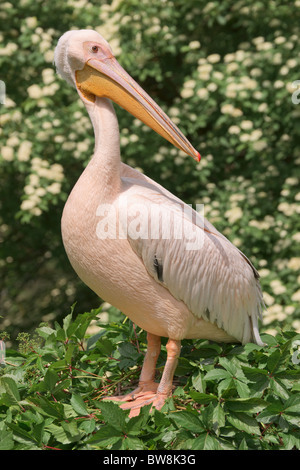 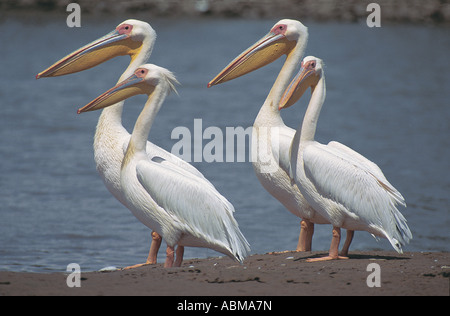 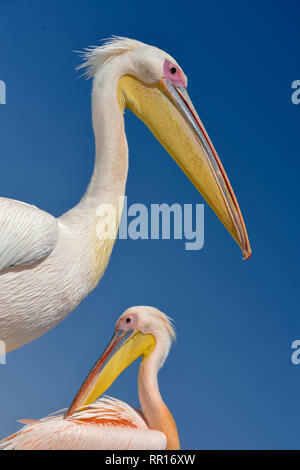 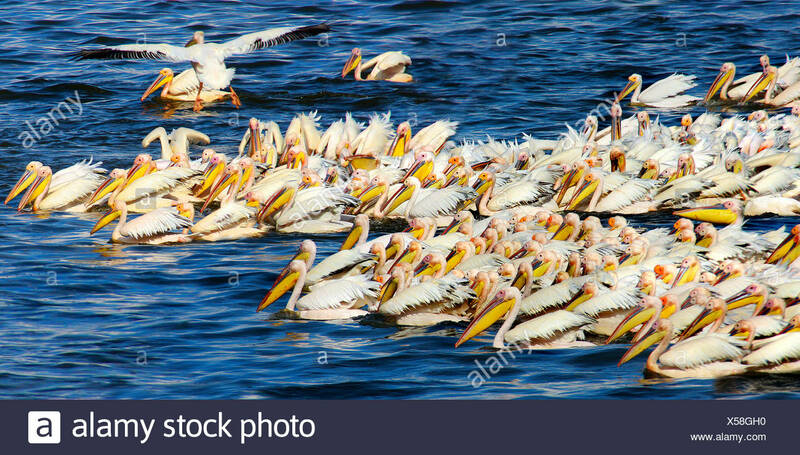 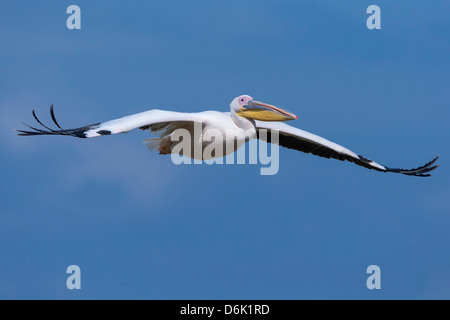 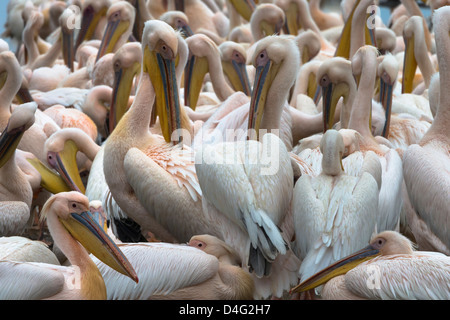 Great White Pelican (Pelecanus onocrotalus) also known as the Eastern White Pelican, Rosy Pelican. 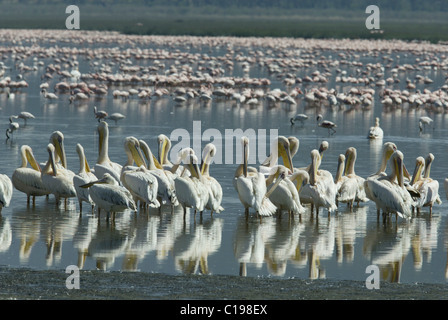 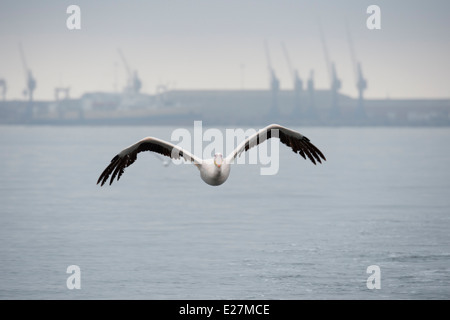 Walvis Bay, Namibia. 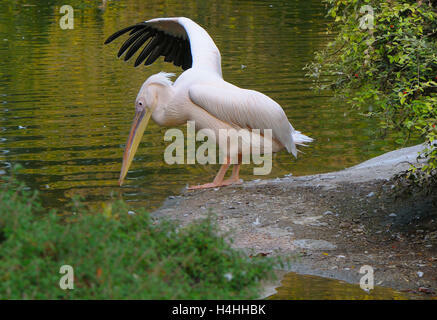 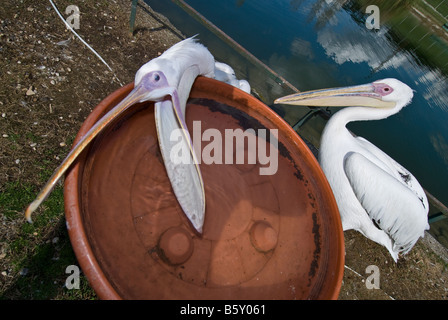 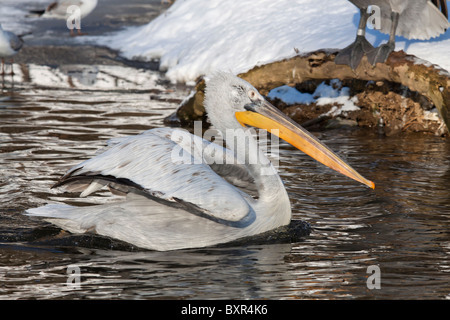 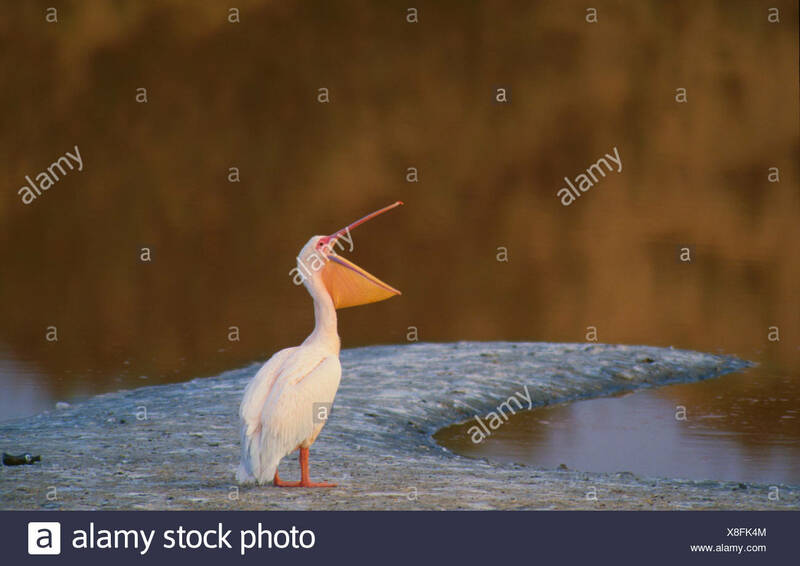 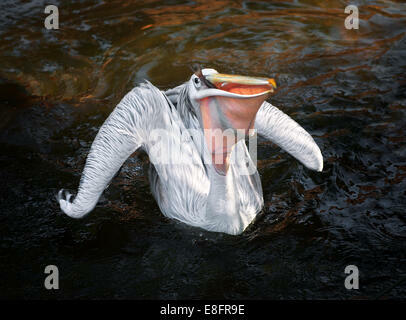 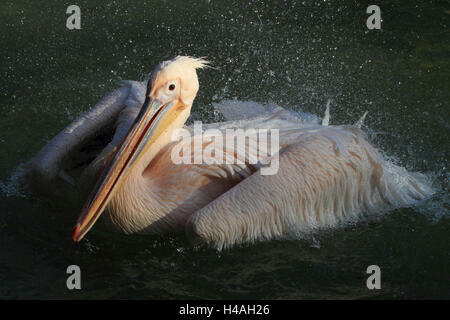 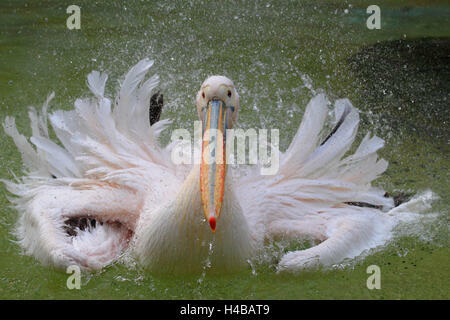 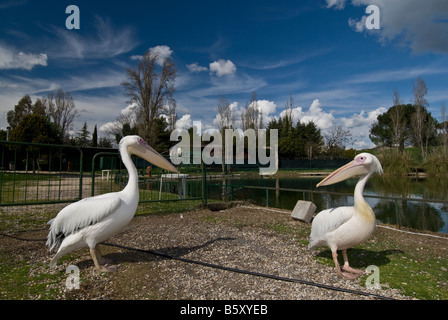 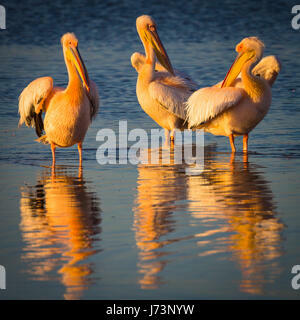 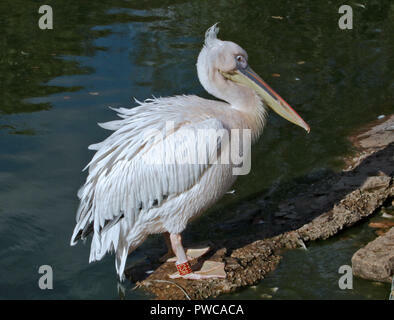 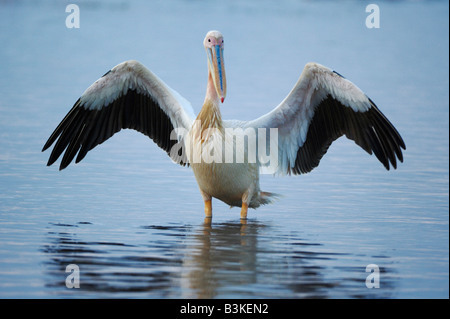 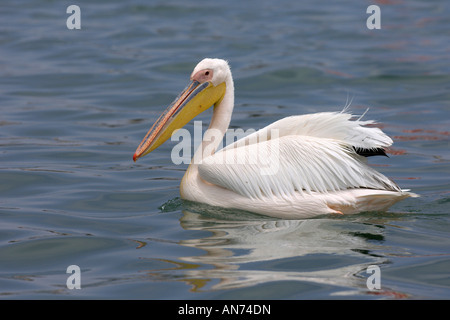 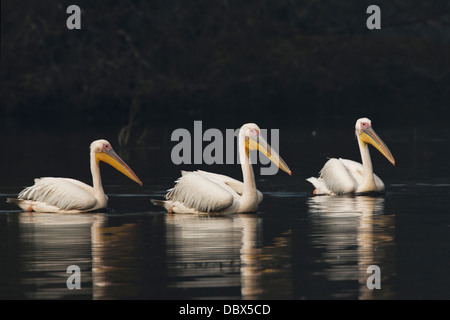 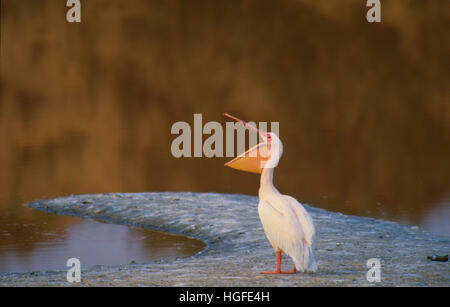 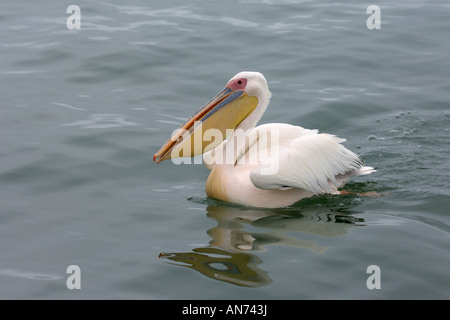 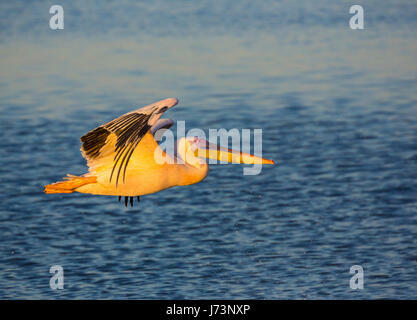 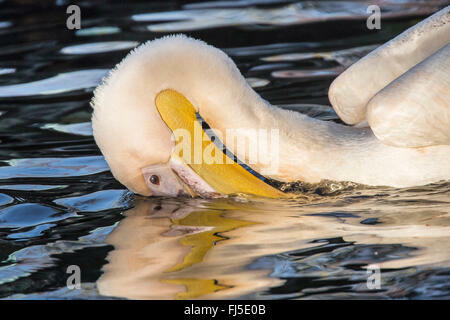 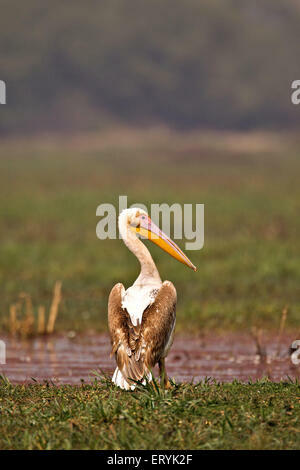 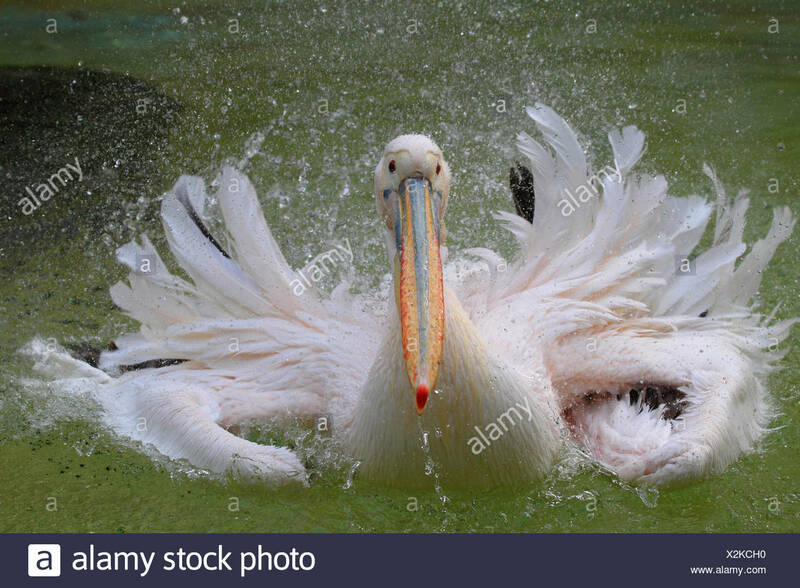 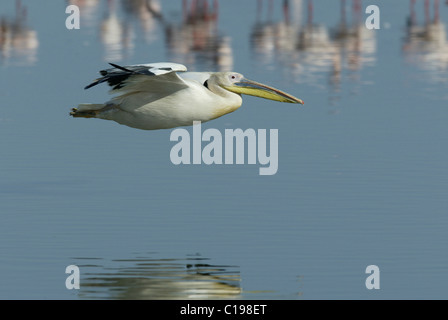 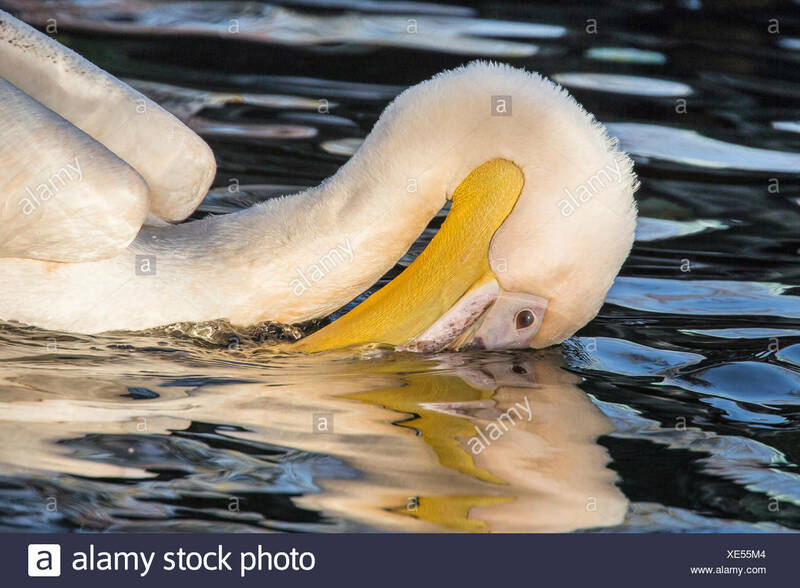 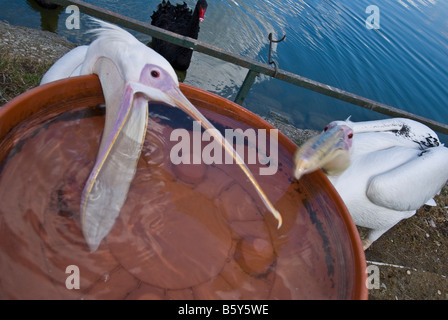 Pelican(Pelecanus onocrotalus) stretching beside a pool of water.